to allow seismologists and other scientists to develop their understanding of earthquakes and their causes. to allow us to make meaningful comparisons between earthquakes to make planning and risk assessment more meaningful and effective. 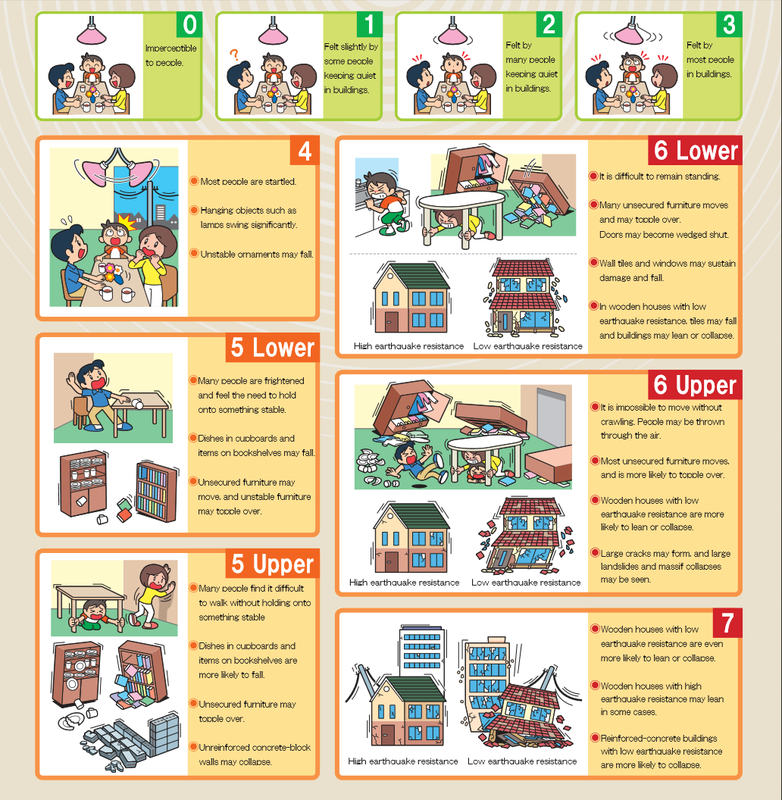 to help evaluate the effectiveness of earthquake management. The Richter Scale is probably the best known scale for the measurement of earthquakes but today it is rarely used as it has been replaced by other measures which are more accurate and/or useful. How intense was the earthquake? - this approach considers the amount of movement and the sheer energy that the earthquake released. For this we use the MOMENT MAGNITUDE SCALE. What effects did the earthquake have? - this approach looks at the damage that the earthquake caused when it occurred. For this we use the MERCALLI SCALE. The Moment Magnitude Scale measures the amount of energy released by an earthquake event. It is calculated using a formula that includes the rigidity of the rock affected, the distance moved and the size of the area where movement takes place. The video on the left below explains this more fully. As the size of an earthquake increases on the Moment Magnitude Scale, the amount of energy increases logarithmically. This means that an earthquake that each magnitude releases approximately 32 times more energy than the magnitude below it. So, an earthquake of Mw 7.0 releases about 32 times as much energy as one of 6.0 and 1,000 times that of 5.0! Watch the video clip below and study the graph to understand this more fully. What is meant by a logarithmic scale? Why is it important to understand this when using the Moment Magnitude Scale? Make sure you have a copy of the Moment Magnitude Scale stuck into your book. What are the limitations of the Moment Magnitude Scale for someone studying the impacts of earthquakes? What does the Mercalli Scale measure? How is this different from the Moment Magnitude Scale? Create a “cartoon”/illustrated guide to the effects at the different levels of the Mercalli Scale. You can do this by hand or you could use IT with a website like one of those below. 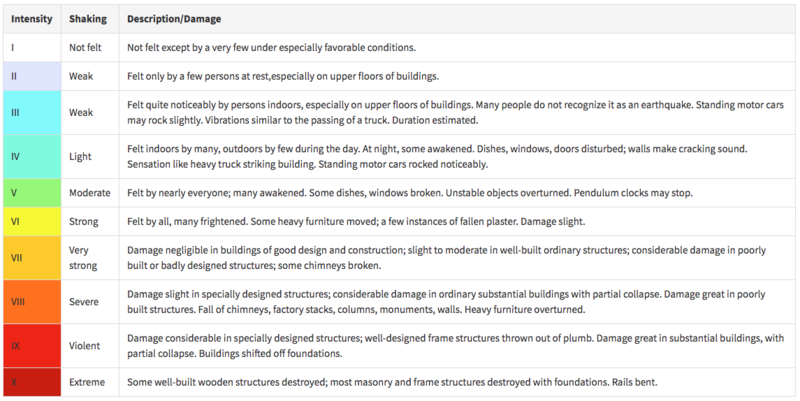 What would be the advantages of the Mercalli Scale to the leaders of a relief organisation? What would be its limitations for a seismologist?